Say thank you with this simple note card designed to complement the casino slot machine invitation. 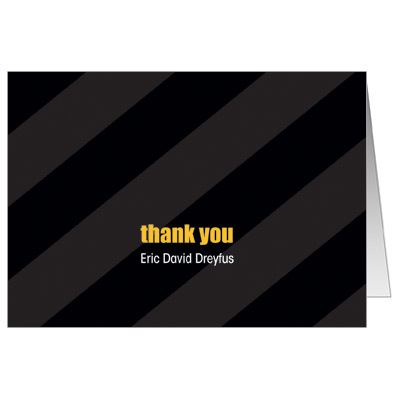 This folded 5 x 3.5 card features a background of black and grey alternating diagonal stripes with 'thank you' printed in yellow block letters in the center. Personalize it by adding your child's name.